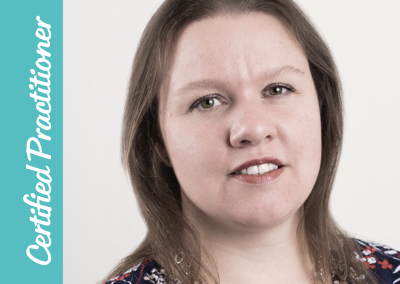 Jane Cuthbertson has over 15 years’ experience designing and implementing integrated marketing programmes that deliver sales results. Her roles have spanned business-to-business and business-to-consumer settings. She is most experienced in marketing products or services that are either high-value or complex in nature. She has particularly thrived in the context of transformative programmes, looking at marketing across the whole customer journey. Jane is a natural problem solver. Whether it’s plugging a gap, or maximising an opportunity; she loves to apply her analytical acumen to creating a clear plan of action. She is always mindful of setting these plans with long-term goals in view. Jane is adept at assessing the value of a quick-win, or new fad, against the vision and strategy of an organisation. Jane is a self-confessed data junkie. With the big picture in mind, she’ll usually dive into the data to find the detailed insights and practical approach needed to get there. Jane’s strategic and analytical thinking is powerfully balanced with a grounded sense of the real people behind the numbers. Both in terms of the business leaders and their team, but also with a passion for putting herself in the buyers’ shoes to truly understand their needs and expectations. It’s this rare mix and balance of skills and perspective that enables Jane to work at pace with ambitious clients, who often comment on how hard it is to find such a combination in one person. Mapping the customer journey, and customer experience. Designing Marketing Operations and leading marketing transformation. Jane has an extensive and impressive experience in the financial services sector, both in-house in large corporates covering banking, life assurance, insurance and advice, as well as with smaller IFA firms and other professional services. She is now relishing the opportunity to add diversity to her client mix, including a boutique clothing range, luxury home accessories and charitable organisations. Passionate about helping businesses achieve their potential in a methodical way. Grasping business challenges and seeing the bigger picture while being able to drill down to the operational detail. Understanding the customer journey and experience to quickly identify what needs to be done to improve sales and profitability. A natural ability for problem solving. A keen eye for identifying efficiencies in marketing operations to increase speed to market, get more from your budget, reduce risk and ultimately deliver exceptional customer experience. Knowledge of marketing production and fulfilment. Getting under the skin of the benefits customers will get from propositions to develop compelling messages. Ensuring marketing plans are detailed and bring goals to life. Jane believes all businesses need a clear plan of what they are aiming for and how to get there. An ongoing planning-cycle keeps momentum and discovers obstacles to delivery. Without a plan it ain’t happening! 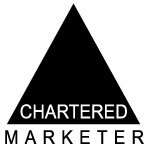 Jane Cuthbertson has a Marketing and Business Law degree, holds Chartered Institute of Marketing (CIM) Post-graduate Diploma and is a Member of the CIM. She has been a Chartered Marketer since 2007.